Wn21a Périers-sur-le-Dan, K.V.U.Gr Riva-Bella, K.V.Gr Caen. 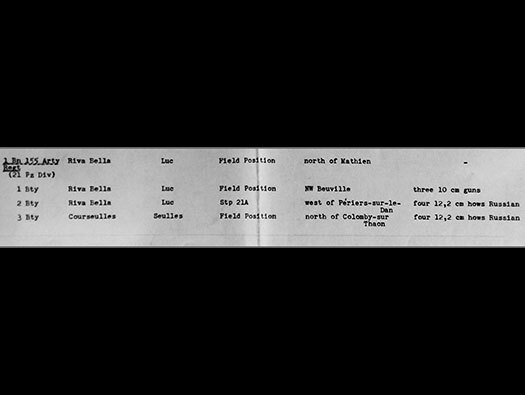 2nd Batterie 1./Bn. 155 Artillery Regiment . 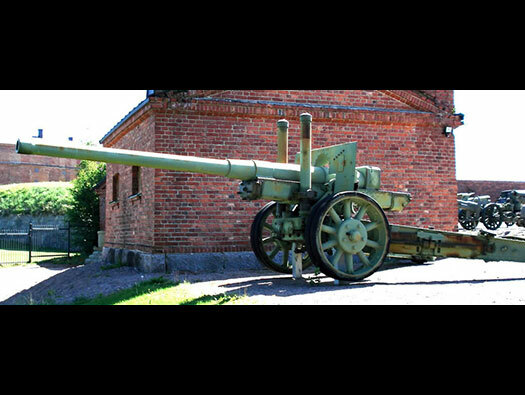 Four 12.2cm Howitzers Rr) [Russian]. 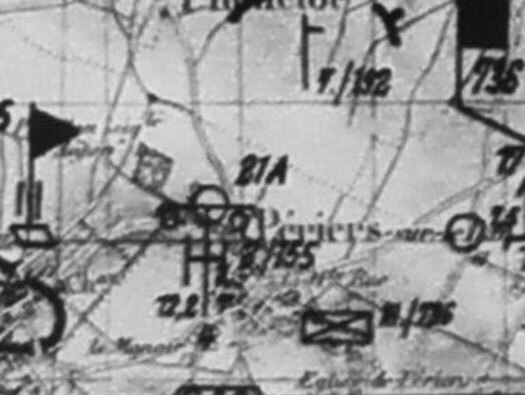 From a Bigot map showing the batterie position being made ready. 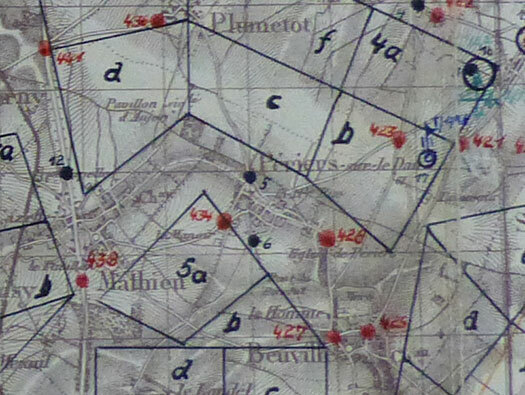 German artillery and infantry positions mapped out. 2./155. The white line running back from Turm2 could be a command cable connecting the gun line with a small command post behind. 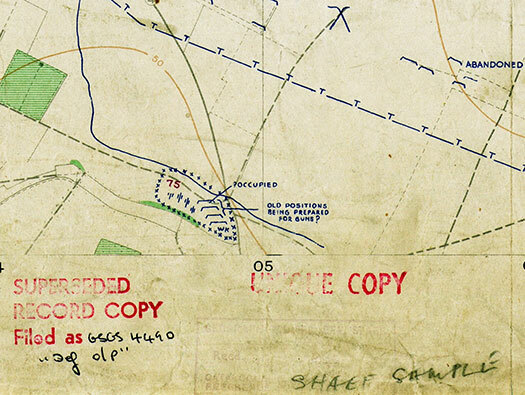 Captured German artillery plan showing 5 the batteries position. 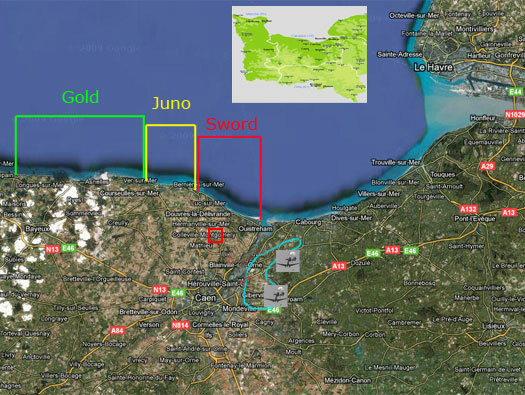 The guns may have been moved away just before D-Day. 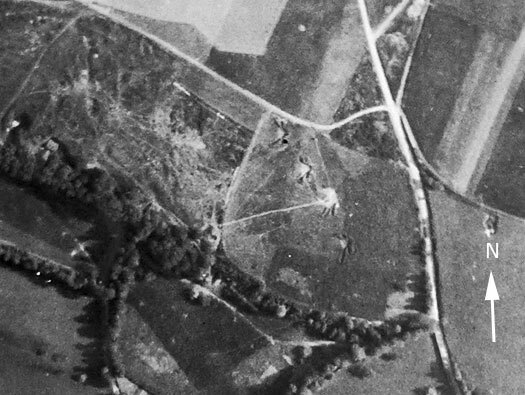 The batterie site does not look as though it was targeted on D-Day.